| Home | Blog | Why Do Cats Love Catnip? Catnip is the abbreviated name for Nepeta cataria, a perennial herb of the mint family originally from Europe and Asia. 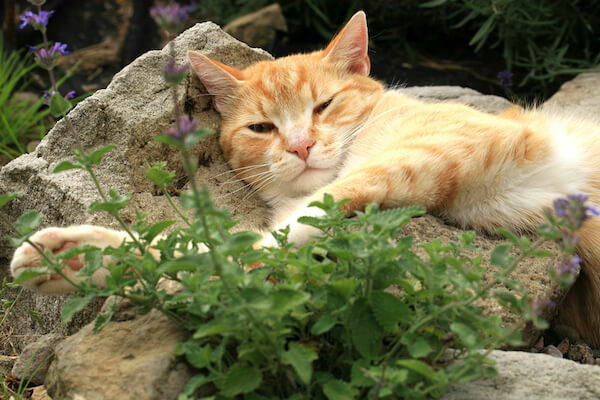 Interestingly enough, the Latin-derived word, cataria, is translated as “of a cat.” However, it wasn’t always a feline treat — its leaves were once used to brew tea for treating an upset stomach. 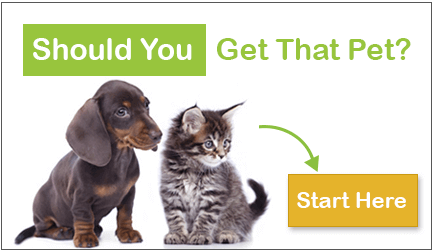 It is still used today, but more for animals — particularly cats — instead of humans. The plant can grow up to three feet high, and it is characterized by soft leaves, small white flowers with purple flecks, and a poignant lemony fragrance. This powerful herb has been modified into a wide variety of forms. You can buy catnip dry or fresh, and you can also buy catnip-infused toys, balls, bubbles, and spritz bottles. Dried catnip is one of the most commonly used versions of this cat treat since it has a longer lifespan. However, fresh catnip is also a trendy go-to product since the plant itself can be grown from home or bought in the store. Fresh catnip is also the most surefire way to see if your feline is sensitive to the herb. Catnip sprays and other unique products generally have less of an effect than dried or fresh forms, the substance of which is easily released into the environment and even more easily identified by the scrupulous scent-tracking abilities of cats. Of course, the big question is this: Why are cats so obsessed with this specific herb? It’s somewhat relieving to know that the source of this fascination is rooted in the nature of the plant itself and not the byproduct of a commercialized formula or dangerous chemical. This strange fascination is nothing new. After all, it is practically implied in the plant’s Latin name. It all boils down to chemistry. The oil within the stems and leaves of the Nepeta cataria plant contains a special chemical called nepetalactone. As it turns out, this chemical has some pretty powerful effects on cats, and it can act as either an aggressive stimulant or a soothing balm. When the cat sniffs the plant (in whatever form it is presented, but usually the leaf itself), a ten-minute period of feline bliss ensues — not unlike the “high” a person experiences in the presence of certain drugs or other concentrated substances. However, the reaction often varies. Some cats will experience soothing relaxation while others will be rolling on the floor or picking up a spritely game of incessant licking and nibbling. Upon the termination of this brief period of intense pleasure, the cat will not be able to experience the sensation again until two hours have lapsed. The second question that might come to mind is whether this catnip stuff is safe. Given its unusual and often volatile influence, it’s only natural to be a little concerned and wonder if it isn’t a form of slow poison. First of all, to allay your worries, catnip is complexly non-toxic to cats. On the flipside, this herb can have a therapeutic effect on itchy kitty skin and, of course, it can greatly alleviate stress and anxiety as well. However, like most things, moderation should be practiced when exposing cats to this powerful herb. If the cat is exposed to catnip on a daily basis, for example, it may become desensitized to it. Are There Other Herbs Cats Love? Now, you may be wondering if there are other herbs that are attractive to cats in this way. After all, there is a chance that some cats will not have any kind of reaction to this one plant. Fortunately, there are other options. Some cats may have the catnip reaction described above in the presence of other mint herbs, honeysuckle, thyme, and the valerian herb. However, beware that cat thyme carries with it a pungent and rather unpleasant odor, and the plant itself takes a while to grow. But it may be well worth this little bit of stench and time since this plant is known to have a profound effect of peaceful contentment on felines. For unusually feisty or rambunctious kitties, this could be a magic bullet. The valerian herb can have just the opposite effect. This herb is known for its strong sleep-inducing effect on humans, but just the opposite is achieved on our furry pets. This herb can propel the cat into vigorous exercise, providing an unlikely motivation method for lazy, chubby kitties. Not unlike a diet plan that includes yummy foods, cats often crave this stuff, so it’s not too bad for a catnip alternative — or a cunning way to get your pet off the couch. As you have probably noticed, there are many unique herbs and plants that can have a vast array of effects on cats. 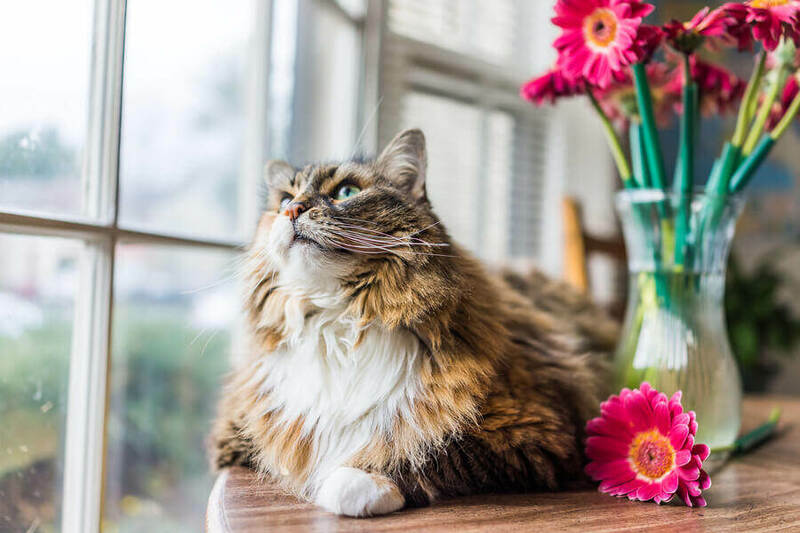 Although catnip is often unrivaled in its poignant scent and powerful feline influence, there are many other alternatives that your cat (and you) will love.